* We're 80% SOLD Already ! * That's 16 Ladies who have joined the TEAM to own & race with GAI & ADRIAN ! * We've only four (4) places remaining ! SORRY LADS !!! - THIS ONE'S JUST FOR THE LADIES !!! 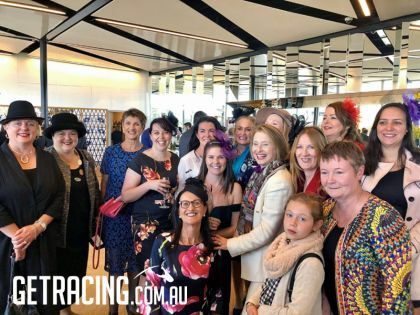 TO TARGET THE RICH MAGIC MILLIONS LADIES ONLY BONUS SERIES !!! BRED TO BE EARLY & BRED TO BE QUICK !!! From a 2YO STAKES WINNER (a daughter of an Australian Champion 2YO) - She won 3 races at 2 and was and was 2nd in the ATC Kindergarten Stakes Gr3 and the ATC Widden Stakes LR - 4 times she was runner-up at 2. * His Dad has already sired 156 Stakes Winners ! It's a Simple Breeding Equation = SPEED ON SPEED ! EXTRA $500,000 in bonus prizemoney on top of the already huge $2 million prizemoney for the 2020 MAGIC MILLIONS 2YO Classic. This colt is bred for early speed so it makes total commercial sense to make him an ALL LADIES OWNERSHIP SYNDICATE. 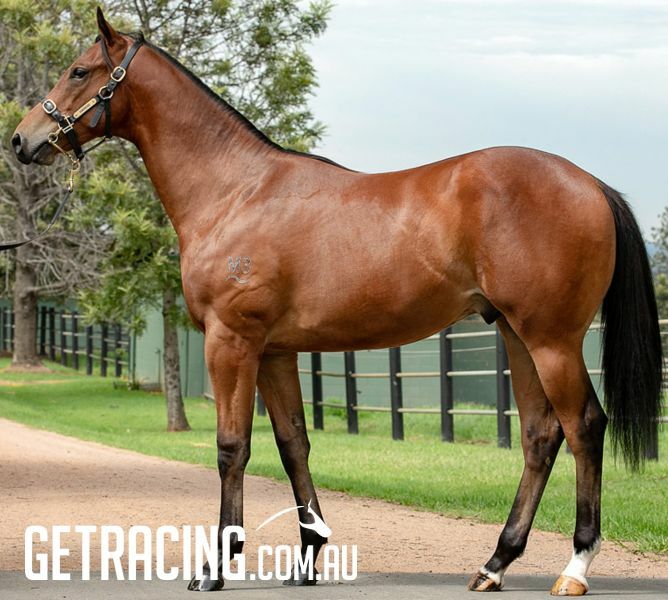 This is an quality Exceed and Excel Colt, he looks a precocious early running individual and he should give our lady clients the chance to be in the big dance come Magic Millions Day. We have had good success buying off this farm previously, they breed tough, sound and consistent horses and this bloke looks like he is bred to get up and fly. If you want to target a horse at a big 2yo race then look no further than Exceed and Excel to help deliver the goods. I was delighted we were able to secure this Colt, he is such a beautiful walking Colt and as soon as I laid eyes on him I saw Reward For Effort. I have had so much luck buying progeny by Exceed and Excel and I am confident this can be another one of our success stories. The Stallion is just phenomenal ! He has produced top class juveniles for over a decade and this Colt is the reason why you buy Exceed and Excel’s to target the big 2yo races. He has great bone for bulk, he is light on his feet with a wonderful big overstep and he looks like he could be at the races tomorrow. 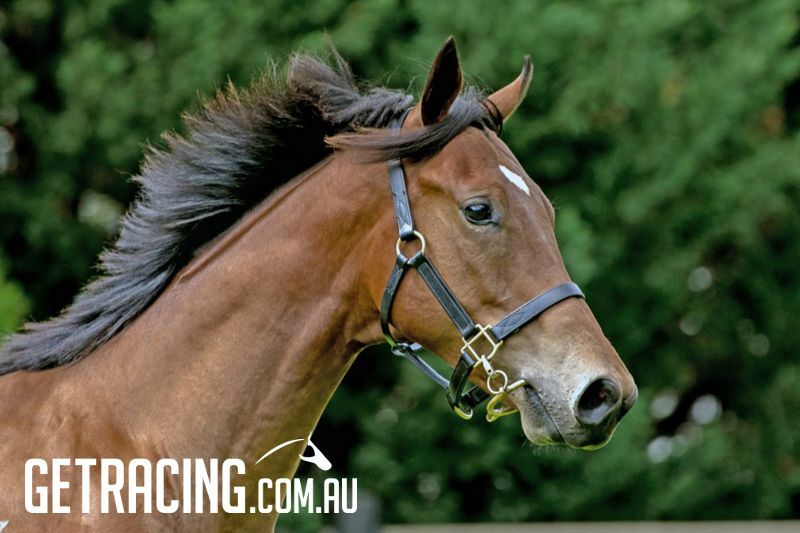 He looks like he has speed to burn and he is the ideal All Girls Syndicate horse. So ..... LADIES - if you love the Glamour & Excitement of Racing ? 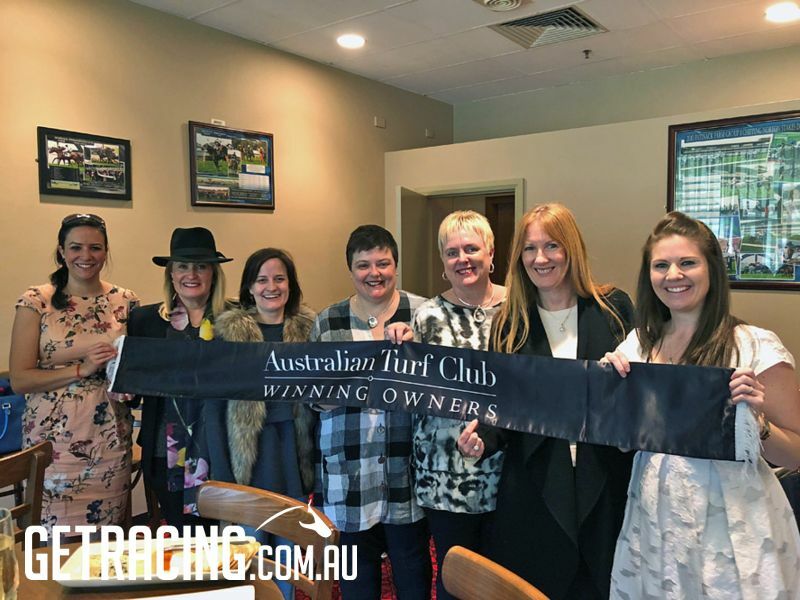 Well Ladies .... , it's time you experienced the thrill of owning a share in your own racehorse ! 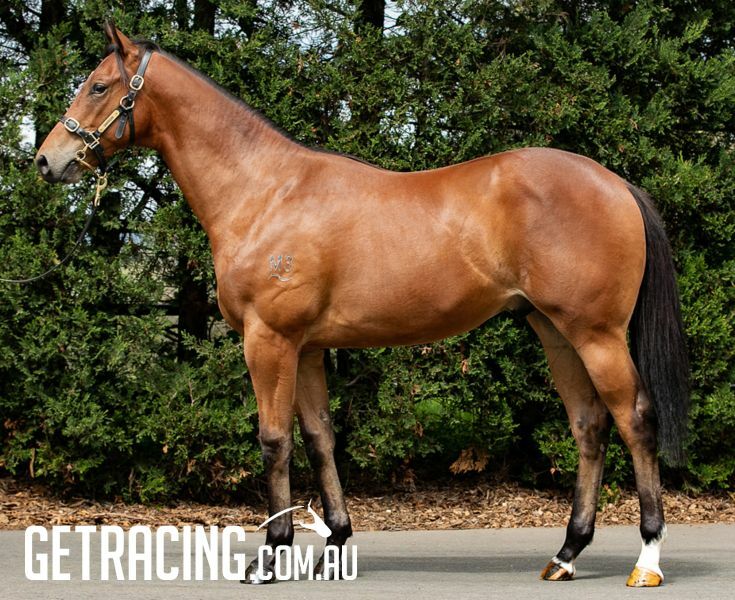 Join us in a LADIES ONLY Syndicate to race this magnificent Colt ! EXCEED AND EXCEL (AUS) (Bay 2000-Stud 2004). 7 wins-2 at 2, VRC Newmarket H., Gr.1. Champion Australian Sire 2012-13. Sire of 1921 rnrs, 1342 wnrs, 156 SW, inc. Excelebration (Deauville Prix Jacques Le Marois, Gr.1), Overreach, Guelph, Mr Stunning, Earthquake, Margot Did, Amber Sky, Flamberge, Helmet, Reward for Effort, Microphone, Outstrip, Sidestep, Fulbright, Best Terms, Heavy Metal, Priceless, Championship, Kuroshio, Masamah, Wilander, etc. EVERAGE, by Zizou. 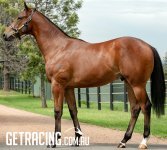 3 wins at 2, A$289,860, ATC Keith Mackay H., L, Spotless 2YO H., Canberra RC Lightning Ridge 2YO P., 2d ATC Kindergarten S., Gr.3, Widden S., L, Liberty International Underwriters 2YO P., Mounties Group 2YO P. This is her third foal. Her second foal is a 2YO. Her first foal is unraced. 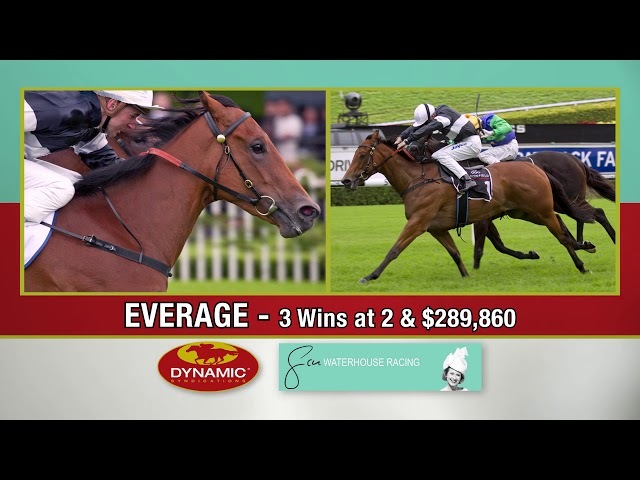 EVERAGE (f Zizou) 3 wins. See above. Hazlebrook. Winner at 800m in 2017-18, 2d ATC Hyland Race Colours 2YO P.
Banter. 2 wins at 1000m, 1100m to 2018-19 in Aust. Black Comedy. 2 wins at 800m, 900m to 2017-18 in Aust. Cob. Winner at 1300m in Aust. Oracle Miss. Placed to 2017-18 in Aust. Sky Mountain. 13 wins-2 at 2-to 1500m, A$117,905, QTC Stryker Medical 2YO H., Lyndhurst Stud H., 2d QTC Jimmy's 65th H., Rain Lover H.
Red Buttons. 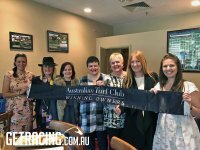 10 wins from 1800m to 2400m, A$521,695, MRC Malakoff H., Racingjobs.com.au H., Moe Cup, Kyneton Cup, VRC Eugene Gorman H., SAJC Sportingbet H., Bendigo JC John Forbes Blue Ribbon Cup, 2d VRC The Big 6 H., National Jockey Celebration Day Victoria P.H., Moe RC No Fuss Solutions Classic, 3d MVRC Don Abell Cup H., Veolia Environmental Services H., MRC Carpet Call H., 4th TRC Hobart Cup, Gr.3. Morcombe. 10 wins to 1000m, A$81,850, 2d BRC I Want You H., 3d BRC Sky Racing Star Stable H.
Funster (f Rory's Jester) 4 wins. See above. Henry's Hill (g Rory's Jester) Winner at 1000m, SAJC Yorke Mitsubishi H., 2d VATC Rancher H., L.
Three Amigos. 4 wins from 1000m to 1600m, A$155,645, WATC Budget Truck Rentals H., Swan Districts FC Ashworth Office Furniture H., City of Perth H., 2d WATC Hubon Sprint H., Torchbearers for Legacy H., Autumn River Festival H., Devilish Dealer H., 3d WATC Perth Racing TV H.
All Al. Winner at 2, SAJC Best Party 2YO H.
Big Lightning (g All Bar One) 7 wins at 1100m, 1200m, 343,015Rgt., S$6,288, to 2018 in Malaysia, 3d Perak Gold Vase, L, Penang TC William Inglis & Son Trophy. HONALEE (c Hurricane Sky) 6 wins-1 at 2-to 1200m, A$444,180, SAJC Yallambee Classic, Gr.2, VRC Standish H., Gr.3, SAJC Carbine Club 2YO H., Mitsubishi Motors H., Kevin Yates Memorial H., Young Members H., 2d SAJC Junction Club of the Year H., 3d MRC Bletchingly S., Gr.3, VRC Century S., L, MRC Sir John Monash S., L, SAJC Top Cut 2YO H., 4th MRC Caulfield Sprint H., Gr.2, Kevin Heffernan S., L, SAJC Manihi Classic, L. Sire. ALSHANDEGHA (f Vain) 4 wins. See above. 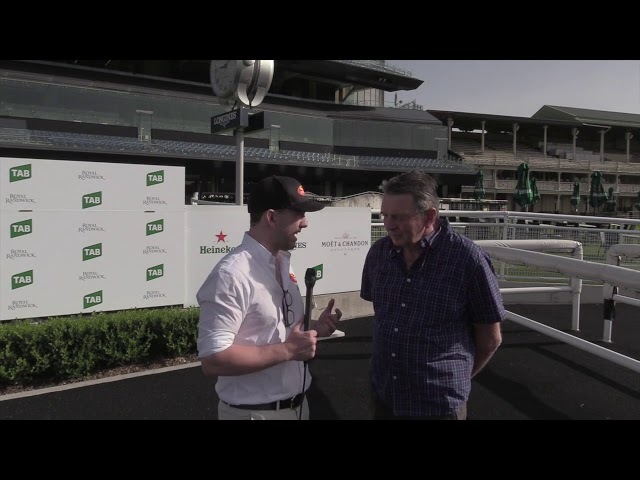 PROPERANTES (g Danehill Express) 9 wins-1 at 2-from 1200m to 2200m, A$613,200, to 2017-18, WATC RJ Peters S., Gr.3, Raconteur S., L, 2d WATC AJ Scahill S., Gr.3, Perth Racing Old Comrade S., L.
LORD MASON - EQUATOR KID (H.K.) 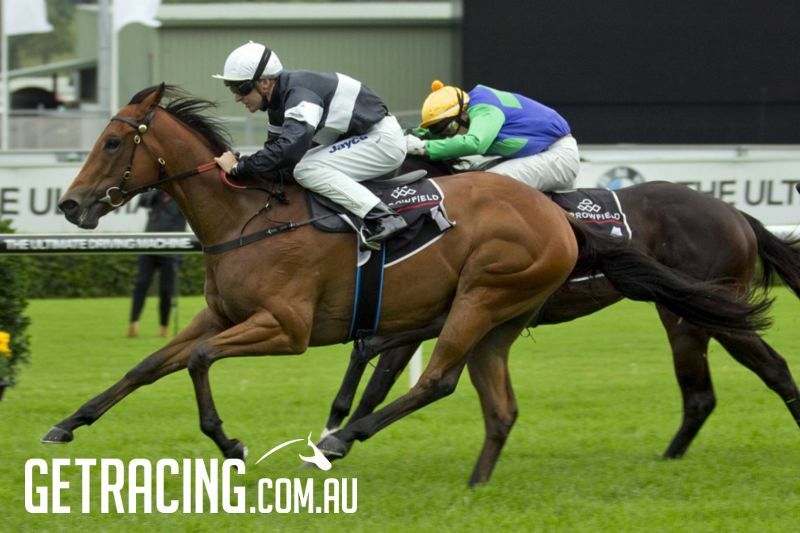 (g Kenvain) 9 wins-1 at 2-from 1000m to 2200m, A$253,690, HK$4,515,550 in Aust. and HK, WATC JC Roberts S., L, 2d WATC Derby, Gr.1.